Audiobook Club Selection for -: Our Titles Are Now Available on Google Play! Hey all, Matt here from Open Book Audio with a bit of sad news. US Book Retailer Barnes & Noble recently announced that, as of July 1st, 2014, they will no longer be offering digital audiobooks for download, and encourage customers who have purchased titles from them to download backup copies of those titles prior to July 1st. Barnes & Noble's digital audiobook offerings were provided via Overdrive, the same distribution system that provides audiobooks to tens of thousands of libraries worldwide, as well as dozens of retailers. Open Book Audio distributes our entire catalog through the Overdrive system, and as a result, our titles are among those that Barnes & Noble will be removing from availability. Along those lines, we have pulled the links to the Barnes & Noble listings from our catalog, and updated our website to indicate the Barnes & Noble is no longer one of the retailers carrying our title. Please note that, if you purchased any Open Book Audio titles from Barnes & Noble over the last several years, when B&N pulls down their audiobook titles, you will no longer be able to download those titles. Nor is Open Book Audio able to provide you access to the title you purchased via another retailer. Therefore, it is important that, if you wish to keep a copy of the audiobook title you downloaded from Barnes & Noble, you download and back up a copy of that audiobook title prior to July 1, 2014. All Open Book Audio titles will continue to be available via other retailers and libraries worldwide via the Overdrive network. These retailers include Books-a-Million and Waterstones. In addition, our catalog will continue to be available in all of the other retail outlets that they have always been. In addition, we will be announcing new retail outlets shortly. We will also be keeping an eye on what happens with our friends over at Barnes & Noble. Some announcements surrounding this change indicate that B&N will not be abandoning digital audiobooks entirely, but that they are investigating other methods of providing digital audiobooks that will perform in a more streamlined manner and/or may integrate more seamlessly with their Nook ecosystem. We'll be sure to keep an eye on things and let you know if anything changes with B&N's audiobook offerings. If you have any questions, please feel free to leave them in the comments below! In early 2009, my life was unsettled. A couple of years earlier, my career as an actor, singer, dancer, and musician had come to a rather abrupt halt when I came to the realization that I was getting older, fatter, more broke, and I was going to be unable to keep up the frenetic pace of performing one show, rehearsing a second show, music directing a third show, teaching voice at a university, teaching private voice lessons at home, teaching at a performing arts studio, and producing/arranging studio recordings—all the while trying (and failing) to maintain some semblance of a social life. I wasn’t have any fun performing, and I wasn’t making enough money to put up with the life of a gypsy. It was time for a change. So I moved. I decided on a Sunday, and by the following Thursday, all of my belongings were in a truck, and I was headed to Seattle. (When I make a decision, I’m not one to sit around and fuss over it for a long time…) I found a job at Microsoft, and tried to settle into a normal corporate life. I had a 9-5 job, a dog, and a nice apartment on the lake. I even went back to school to get my MBA. I was building a new life. My life was stable. I had a regular paycheck. It was what I had wanted. But I really missed performing. There’s a lot of garbage that goes along with being a working actor, but there’s also a lot of fun. There is a sense of community that comes from a troupe of actors working to build something bigger than any one individual. And the feeling of ownership that comes from creative endeavors can be exhilarating. I spent some time trying to figure out how to merge my love of performing with the knowledge I was gaining in the digital media space and the business acumen I was beginning to absorb from school. Plus, I had thousands of dollars in recording equipment that was sitting in my spare bedroom, collecting dust. It was like being struck by lightning. Why couldn’t I do audiobooks? I had a pretty good voice. I had really good equipment. And, perhaps most of all, I had a lot of training and experience as an actor. But I knew I didn’t want to just try and audition for audiobooks along with everyone else. Several years as a working actor still fresh in my mind, I knew that trying to break into an already-crowded field of more experienced and very talented narrators was a recipe for disappointment. More importantly, I knew I wanted to build something that would allow me to generate income over time. I had taught enough 30-minute voice lessons to know that when you are the product, you will eventually run into the issue of limited resources, because there is only so many hours in a day. So, I looked up my old friend Andrew, and give him a call. Andrew and I had met over a decade earlier, and had become good friends—the kind of friends you only seem to make in college, when you find someone whose personality and talents dovetail with yours seamlessly. And then, as happens in life, went our separate ways. He got married, went to graduate school, and started having kids. I took time off to work as a dancer on a cruise ship, graduated (finally), and started working as an actor. We lost touch as our lives took us in separate directions. But I remembered that Andrew had studied recording sciences in college. And he had an incredible, deep bass voice. And a background in acting. Not to mention an MBA in marketing. I figured if anyone could help me get this thing off the ground, it would be him. When I called Andrew, he had just recently been laid off from a long held marketing position, and was in between jobs. Not only was he interested in building this company with me, but we picked up our friendship as if no time had passed. We spent a couple of months talking, and in mid-February, 2009, I filed the documents with the state of Washington for the founding of Open Book Audio. In the five years since OBA officially opened its doors, we have seen a lot of change. Andrew now has three kids, and has changed positions a couple of times. I finished my MBA, moved 3 more times, and bought a house. The Matt and Andrew of 2014 are very different than the Matt and Andrew of 2009. As much as we changed, though, our company, and the audiobook industry, have changed even more. What started as a small audiobook production company soon morphed into a distribution company as well. We began with 6 titles, which ballooned to 15, which ballooned to 125 in less than 2 years. We have talked with thousands of aspiring authors, narrators, producers, and engineers. We have seen the audiobook market change from one mainly driven by CD sales (we even started printing CDs when we first launched!) to one dominated entirely by digital downloads. We have seen the audiobook market explode in volume. We have seen a move from director/producer-led recording audiobook sessions at a large, professional studio to narrators working by themselves from home. We’ve seen the launch of self-distribution platforms by major players in the industry. And, of course, we’ve seen many players in the industry come and go. These last five years have been amazing, harrowing, crazy-busy, eye-opening, and sobering, all in equal doses. We’ve been blown away in by how much work has had to go into what we do and how much support we’ve received from so many people. Open Book Audio has not yet grown into the large corporation, employing dozens or hundreds of people, that I envisioned when I started. However, we have laid the groundwork for some really exciting things in the future. Thank you to our fans, our friends, our publishing partners, our narrators, our engineers, our retailers, and everyone else with whom we do business. You’ve made the last five years a true adventure. Here’s to another 5. Or 50! Apologies for the delay in getting podcast #65 out (and the missing #64...it was recorded, but never released.) In this episode of the podcast, we'll play a sample of Invisible Ink, the latest audiobook produced by Open Book Audio, and featuring our very own Matt Armstrong. We'll also review a whole slew of titles, and we make a pretty big (and a little sad) announcement. A huge thanks to everyone who has been a part of the Open Book Audio Podcast! Audiobook Club Selection for -: A Change is Coming! When I sat down to write this blog post, I considered starting it off with some type of cliché like “All Good Things…” or “Change is the Only Constant” or some other drivel like that. I’m not big on clichés, though, so instead, I opted for the straightforward approach. Open Book Audio is changing the way we do business. Over the last four and a half years of operations, OBA has gone through several iterations as we’ve learned more about the audiobook market, and as we’ve watched it evolve. The time has come, once again for us to adjust our course. So, what does all this pontification mean? Beginning June 7th, 2013, Open Book Audio will no longer accept unsolicited requests for audiobook distribution or production. This means that we will no longer be serving as an audiobook aggregator and distributor for independent authors and publishers not already in the Open Book Audio catalog. This also means that we will no longer be producing audiobooks for people or entities other than Open Book Audio. At least not for now. Yes. For the last four and a half years, production and distribution of third party audiobooks has been a major component of our operations. The success and demand for our distribution services, in particular, took us by surprise. We were unprepared for the pent-up demand, and we have had the opportunity to work with some wonderful people on some truly spectacular titles. But as successful as our distribution and production services have been, the amount of work we have put into helping others sell their books has not offered a high enough return to support our business. Between high (occasionally exorbitant) retailer fees, a lack of transparency in pricing, and very little competition in the audiobook marketplace, Open Book Audio’s distribution services simply do not generate enough money to pay for themselves. And rather than boost our fees from 30% to 50-60% in order to recover costs (let alone expand the business), we have taken a look at trends in the marketplace and realized that distribution and third party production are simply not growth areas for a healthy business. The other, and perhaps even more important, part of why we’re changing the business is that Matt and I are a worn out. Aside from spending the last four and a half years pouring our hearts and souls (not to mention countless hours and a whole lot of money) into Open Book Audio, we both work full-time jobs. Open Book Audio has been a second job for both of us. It’s not uncommon to find Matt and I on the phone into the wee hours of the morning discussing production schedules, new contracts, or financial decisions. We have worked very hard, slept very little, and have dedicated our lives to building something special. And while we’re proud of what we’ve built, we both feel that it is important to reconnect with children, spouses, family, friends, loved ones, and even pets who have been set aside while we have grown our business. Open Book Audio will still be around—just in a different form. The success of OBA has afforded us the ability to pick those projects about which we feel passionate—those that we can do the way we feel is best. We plan on releasing 5-6 new audiobooks titles each year in which we can heavily invest, rather than maintaining the exhausting pace of 70-80 title releases a year. Simply put, we want to get back into the recording studio to put our own unique stamp on audiobook projects about which we care deeply. And so, effective June 7, that’s what we’ll be doing. At the end of the day, Matt and I are actors. 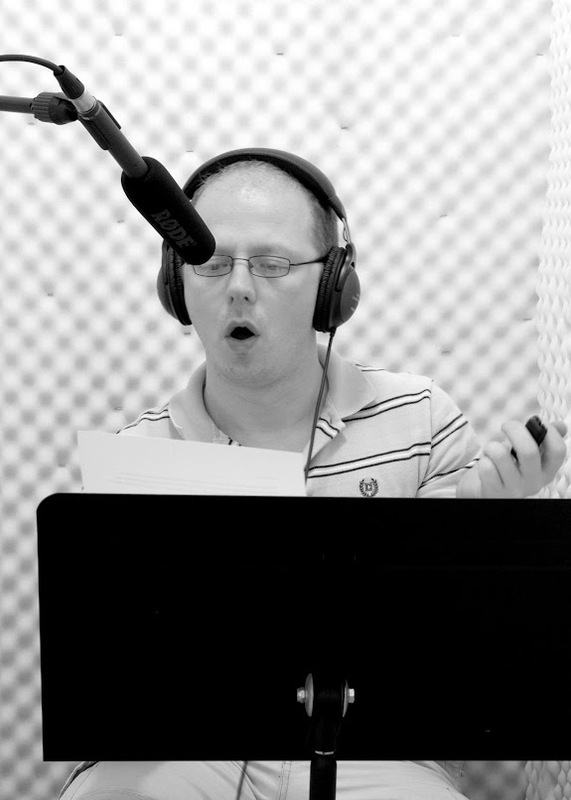 We love the performance aspect of recording audiobooks and bringing characters to life. It’s what excites us and gets us out of bed in the morning. This is why, after much number-crunching, hand-wringing, and soul-searching, we have decided to make this change of directions and to focus our energies on building a more sustainable and energetic Open Book Audio. As for our current authors, we’ll still be servicing their titles so you’ll still be able to get your favorite OBA titles anywhere audiobooks are sold. And for those authors already in the OBA stable, we’ll be adding their newest audiobook titles to our catalog as they are released. But for new authors or publishers, Open Book Audio will no longer be accepting unsolicited titles or requests for production. We know that this news will make some people sad or frustrated. The audiobook market is still quite unsettled, and not every author has an easy way of making his or her audiobook available everywhere. We get it. While it may not be much of a comfort, please know that this was not a decision we made lightly. (In fact, there was more than a little agonizing going on.). However, we feel that this change of direction is for the best. It will allow Open Book Audio to focus on fewer, higher-quality titles, as well as marketing the titles already in our catalog. To all who helped make OBA a success, thank you. Matt and I are truly grateful for your support, love and kindness. We wish all of you the best and hope that whatever you wonderful endeavors you undertake in life, you’re lucky enough to be able to find success and good fortune. Audiobook Club Selection for -: Audiobooks: How Short is too Short? This month's halfcast features Close Calls: The True Tales of Cougar Bob, written by BJ Campbell and read by Alan Sain and Duane Allen. For more information about this title, including links for where to buy it online, please visit the title listing page at http://www.openbookaudio.com/audiobook/close-calls. Close Calls: The True Tales of Cougar Bob is a collection of twenty-six creative non-fiction short stories about courage, and what it takes to prove it. The Close Calls just bring it out in Cougar Bob. What does it take for North Idaho long distance runner, Robert L. Campbell, to get into the Navy if he is under weight? What does it take for him to walk again, and run, after polio in the Navy? To hunt down and trap a cougar that stalks kids at a school bus stop? To track an escaped killer with his man-trailing bloodhound? To face life-threatening blizzards? To swim rivers at ice flow, or be dropped on a rope across the Moyie Canyon to set a road survey point? Or to volunteer always for the toughest jobs? Newsflashes from "The Cougar Bob Review," a twenty-year, mostly humorous, periodic two-page publication about the man, appear between the short stories in this AudioBook. In the "Review," author B. J. Campbell reveals the truth about her fervent, focused, brave husband, Cougar Bob.